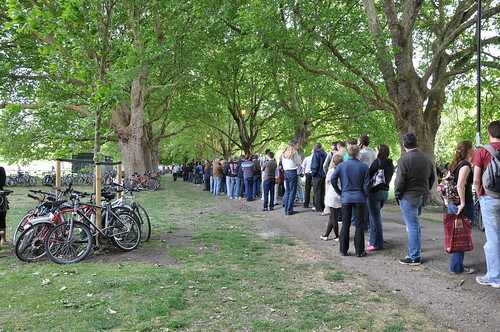 Twice a year, Cambridge has a beer festival. 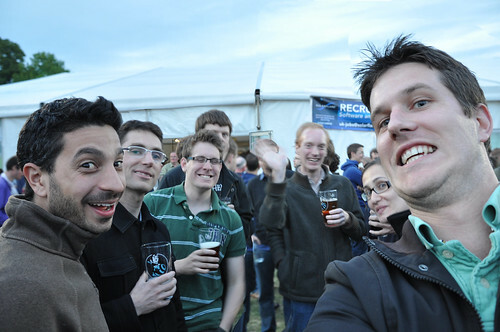 We missed the last one in October, but made the effort to go to the next one, especially since the weather was warmer. It’s a fairly popular festival. 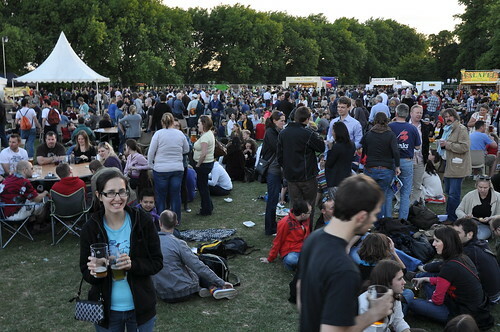 Essentially, this festival is a large beer tent with kegs of over 200 real ales and 80 ciders and perries. They give you a booklet to try and choose some, but really, there’s no way to choose. Golden Kiwi 4.1% (by Tydd Steam in Cambs) – A pale golden refreshing best bitter. Hopped exclusively with Motueka, Nelson Sauvin and NZ Cascade. Stargazer 4.3% (by Tydd Steam in Cambs) – Deep golden best bitter heavily hopped with American Simcoe and Summit hops. 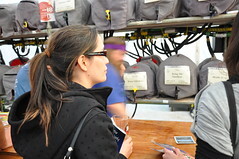 Tolly Roger 4.2% (by Cliff Quay in Suffolk) – A warming golden yellow coloured ale, brewed using just pale ale malt. When it’s random pickings, not every half pint is enjoyable. 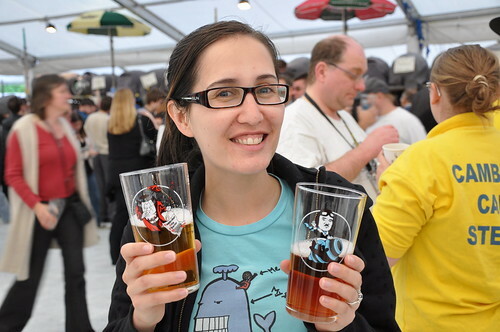 But at least you get to keep your pint glasses! 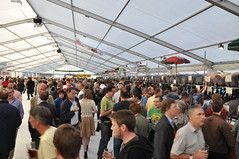 The beer festival runs every evening for a week and most people go more than once. It’s a highlight on the social calendar. It was certainly a highlight on ours. I think we’ll go to more of these.